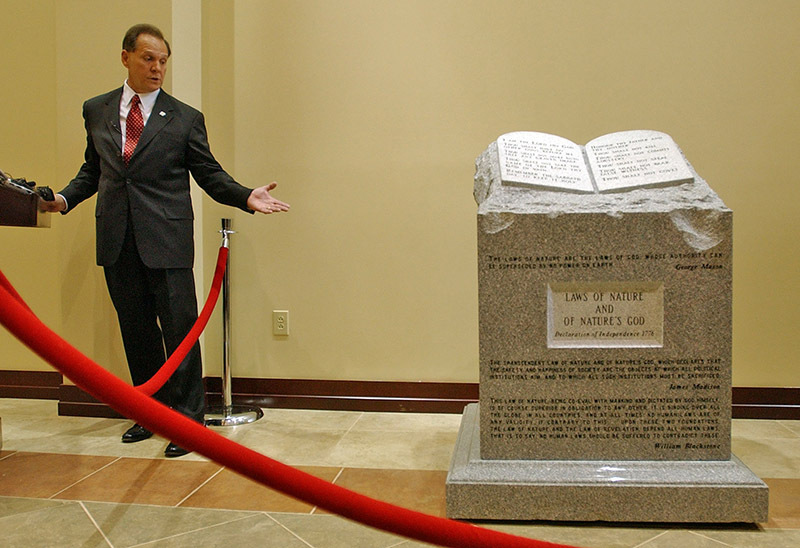 Alabama Supreme Court chief justice Roy Moore stirred controversy in 2001 by displaying a religious monument that included the Ten Commandments in the state's court building in Montgomery. In 2003, the Alabama Court of the Judiciary ordered the monument removed and terminated Moore's term in office. Courtesy of The Birmingham News. All rights reserved. Used with permission.